The FS2510AB is a logic analyzer probe used to test DDR4 DIMM memory. 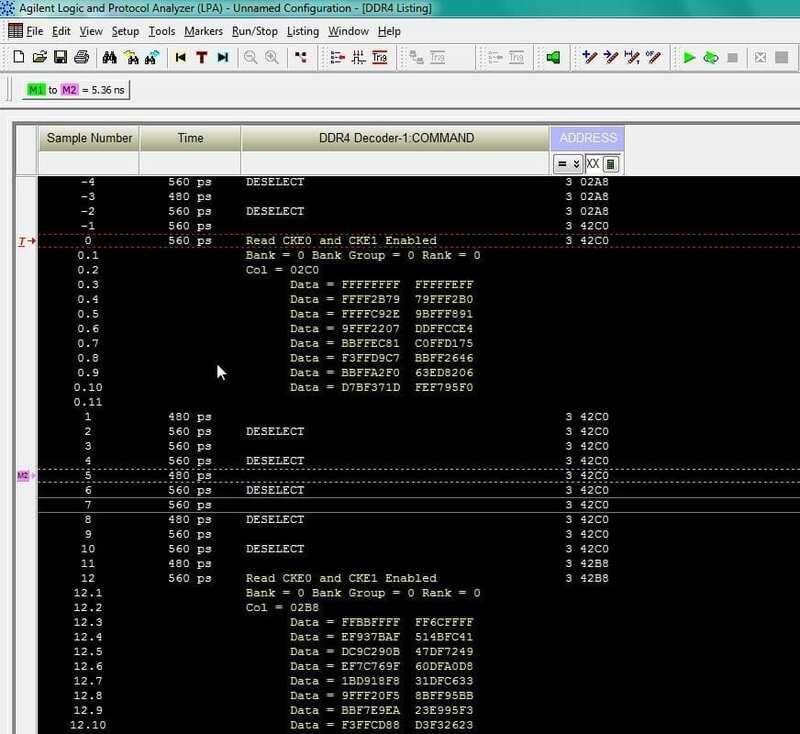 When used with the triggering and analysis capabilities of Keysight’s U4154A/B/64A logic analyzer modules, it gives the user an effective tool for debugging, testing and verifying DDR4 DIMMs. Interposer Design – The FS2510AB DDR4 DIMM probe does not sacrifice a memory slot, so you can probe any DIMM, even in a fully populated memory bus. Complete and accurate State analysis up to 4000MT/s. View Screenshot. Use Timing mode for deep asynchronous analysis at 5 GHz. 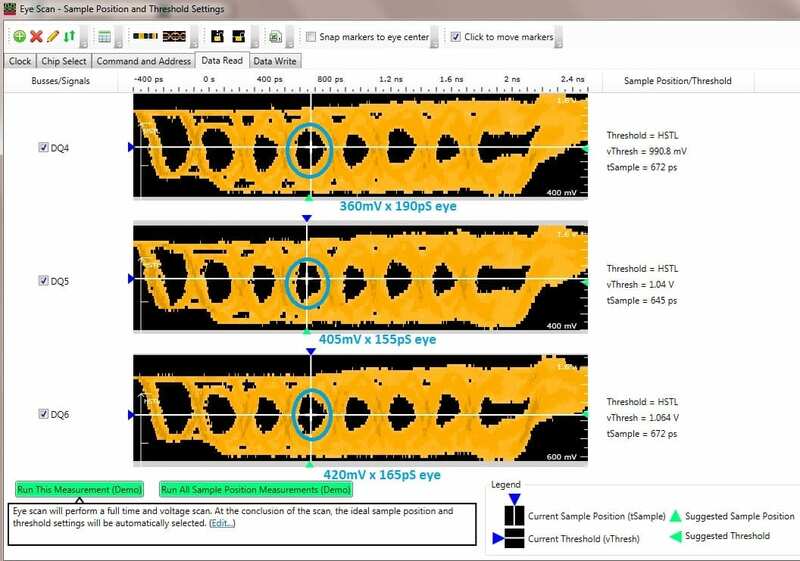 Measure signal integrity of each bit on the DDR4 DIMM with Keysight EyeScan (5ps x 5mV) application. View Screenshot. Optional FS1070 Pod Kit for operation with the Keysight logic analyzer modules above 2500MT/s. Quick and easy interposer connection between the DDR4 DIMM memory bus connector and the U4154A/B/64A Keysight logic analyzer module. A Satellite probe, FS2514, is available for probing the Control signals of a second slot in the same DIMM Channel. One Pod connection required. An economy version is available, the FS2511 which monitors only the Address, Command and Control signals. The FS2510AB includes DDR4 Protocol Analysis Software that provides both configuration files for the U4154A/B/64A Keysight logic analyzer modules operating in 64 bit environments, as well as a license free copy of the FuturePlus DDR4 Protocol Decoder. Note: FuturePlus has carefully simulated and designed this DDR4 DIMM probe to work in your system and it extends the DDR4 bus less than 1.0 inch. Other factors can have a significant effect on the performance of the whole DDR4 bus analysis system including the BIOS settings of the memory controller, the target motherboard and DIMM design, and the specific DIMM socket being probed. All users are given 30 days to qualify this DDR3 DIMM probe in their system.